Know about Cole Sprouse's dating rumors and relationship history in details.. Disney Channel sitcom The Suite Life of Zack and Cody. With his twin.. Many of child celebrities fade away from the spotlight after they grew older. There are just a few examples of child celebrities who are still in the business. But unluckily some can't keep up with their fame as their they choose another career. We today now come through one of the celebrities whose acting career have lots of ups and downs from past few years. Cole Mitchell Sprouse aka Cole Sprouse is well known for his role in the Disney Channel sitcom The Suite Life of Zack and Cody. With his twin, Dylan Thomas Sprouse he had worked in several movies. But after his fame in his childhood, what is he doing now? Is she dating someone? Let's find out. The sweet boy, Cole Sprouse that we knew years ago, is all grown up. Back in days with his show The Suite Life of Zack and Cody, he became a heartthrob among preteen and teen audiences. At the young age, he became the public face and caught lots of attention in back days. Apart from his movie career, this actor personal life has been always a news. With the changing partners over past few years and with some of his TV shows, Cole somehow is still into the limelight. The 24 years old Cole, love life in 2017 seems to be behind the curtains. Sprouse has maintained his low profile life in recent days as well as his personal life. It's hard to digest that the heartthrob of millions of teens around the world, Sprouse's name has never linked to any of actress or mystery girl. If we take a quick look at the Cole's Instagram, there are not much of hints on his love. However, there are some pictures of some of the actress and model that he keeps on posting. You will surprise to in his post you will find pictures of famous model Kendall Jenner and several other. Cole barely drops any post of him with another girl. As for now, Cole might be dating, but he hasn't made it official yet and is single. Hope in near future, Sprouse more about his personal life. Looking at back the dating history of Cole, before becoming super hot, he dated many girls way back in 2005. Twelve years ago, Katelyn appeared on The Suite Life. She appeared for quite some time and began dating Cole off the camera. On the list of Sprouse dates, Victoria Justice name pops up. It was rumored that Sprouse dated this beautiful lady right after breaking up with Katelyn. His serious relationship made a buzz around the internet with Erin a fashion designer. They kept their relationship away from the media but they dated for a year from 2007 - 2008. Bree Morgan named also got linked this actor. They met as students at NYU in 2013 and dates for almost 3 years. Cole and Bree broke up in 2015, however some resources claimed that they been dating till date. Maria Walsh dated Cole in 2008. Walsh has quite a bit of history for dating Disney stars including Corbin Bleu and Jason Dolley. 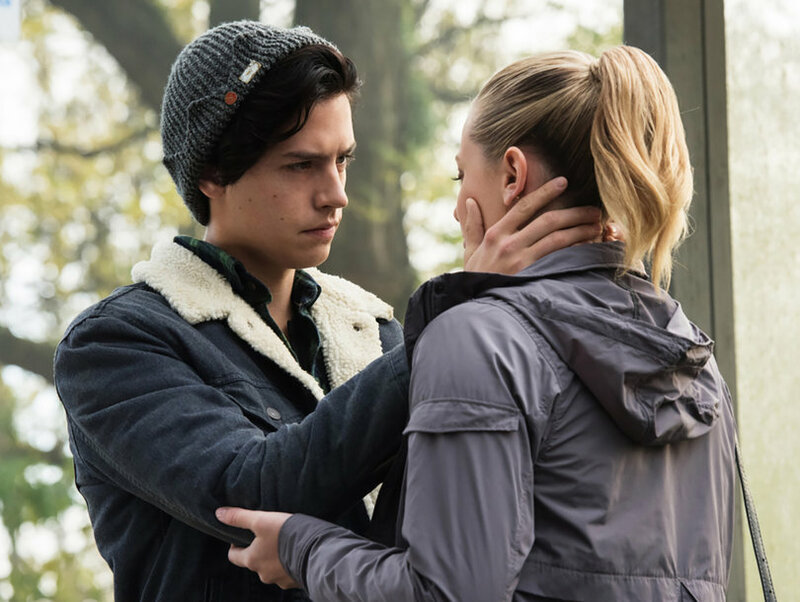 "We met on her set, I believe, and we dated"
Riverdale star Cole was rumored to be dating his co-star Lilli Reinhart but they haven't made it official yet. Related Information: Is Dylan Sprouse single? If not, who is he dating currently?